P-Fix Range - CASCADE PLC - The new home of Cascade Clamps UK Ltd, Suppliers and Manufacturers of pipe fittings to the water & gas industry. 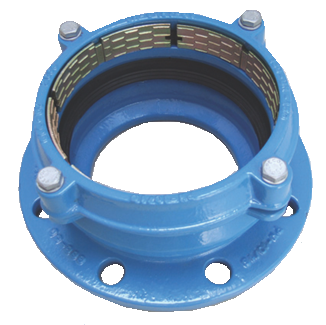 The Cascade P-Fix range is made up of Flange Adaptors and Couplings which are suitable for PVC and PE pipes. These fittings are suitable for up to 16 bar working pressure and can be installed without liners. Install is easy and the locking teeth prevent axial pipe movement. Available in sizes from 63mm to 400mm in both Adaptors and Couplings, please download the below data sheet for more information.